My trip to Oklahoma was a short one but it was nice getting to spend time with family!! Last Thursday during the day while I was still “hiding out” I got to have lunch with my Mother-in-law which was always a great bonus!! Also I got to spend time each day with my Oma, she is doing well since Granddads passing 2 months ago. But like us all she has good days and bad ones. Oma was the life of the engagement party I would say but like all Grandmas she didn’t like my “two-tone hair” or the dress which made me look like I was pregnant she said! haha, thanks for the ego boost Oma! Friday night Mom, Dad, Oma, Marissa and I went out to a nice dinner to decompress and celebrate Marissa! The party was so full of her friends it was nice getting some alone time with our Bride-to-be!! SO when Mom, Dad and I got back to the house we were inspired my Marissa and Ryan and decided to do our own “Hipster Engagement” session in front of the garage door! hahaha! Marissa loved it! I call this…. So close yet so far……..
Another bonus about being home in Oklahoma is getting to spend time with my Animal-Siblings!!! I love this Motley Crew!!!!!!!!! 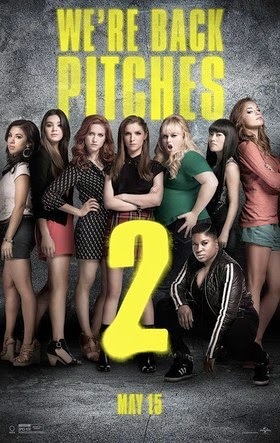 So last Friday my Dad took off work early and Mom, Dad, Oma and I went to see Pitch Perfect 2 and I couldn’t have LOVED it anymore!!!!!!!!!! Like really, I couldn’t stop grinning from ear to ear the entire time! I don’t know…. dare I say I loved it more than the first??? I think I did!! GO SEE IT!!! I can’t wait to see it again!!!!! I loved my time in Oklahoma but I was ready to be back home!!! And it looks like the wedding will be next May says Marissa! Haha aren't Grandma's great, they just say what they think. By the way, I love your hair and dress!